The executive summary is a concise, informational, persuasive piece of writing. Its purpose is to convince the customer that your offer is superior to competitor offers. It is generally a standalone section at the front of a proposal. Use your executive summary to make an impression. Clearly indicate your proposal’s responsiveness and compliance. Assign writing and review responsibilities strategically. Mirror your executive summary themes in the proposal cover, title, and cover letter. Strategy and win themes play an evolutionary role in the development of an opportunity. Proposal strategy statements are a tool to verbalize your win strategies in a way that helps everyone on your team understand how the bid will succeed. SWOT analysis, whether formal or informal, provides the information you need to create both opportunity and proposal strategies. 2.1.1 Develop opportunity strategies and win themes early. Assemble your team to brainstorm the best ways to position yourself to win. 2.1.2 Identify a “killer” opportunity strategy and refine it as intelligence improves. 2.1.3 Use opportunity plan review and competitor review feedback to focus your strategies and win themes. 2.1.4 Build proposal strategies for anticipated response requirements. 2.1.5 Design a proposal cover and key graphic that reflect your overall offer and overarching theme. 2.1.6 Monitor transition of strategy and win themes to proposal content, final proposal response, and contract negotiations. A good value proposition helps clients grasp the value of what you are selling compared to other options. Value proposition specifically addresses how aspects of an offer positively affect a customer’s business, and offers clients something they want and gives them a good reason to choose you over your competitors. 3.1.1 Sell the value based on client benefits. 3.1.2 Link benefits to your unique selling points. 3.1.1 Use effective price-to-win methods. 3.1.4 Structure your value proposition in a logical, orderly way. 3.1.5 Focus on the right kind of impact. Figure 3.2 Three Kinds of Impact. Proposal theme statements are section-, topic-, or paragraph-level elements that appear in a consistent place and style throughout your bid. The best theme statements tie benefits to features and address customer issues. Build a proposal theme outline against the structure of the response and flow themes into content plans. Read your theme statements out loud. Test the impact of your theme statements and improve them accordingly. Proof points, drawn from past performance and experience, give tangible evidence that builds confidence in your solution’s features and benefits. 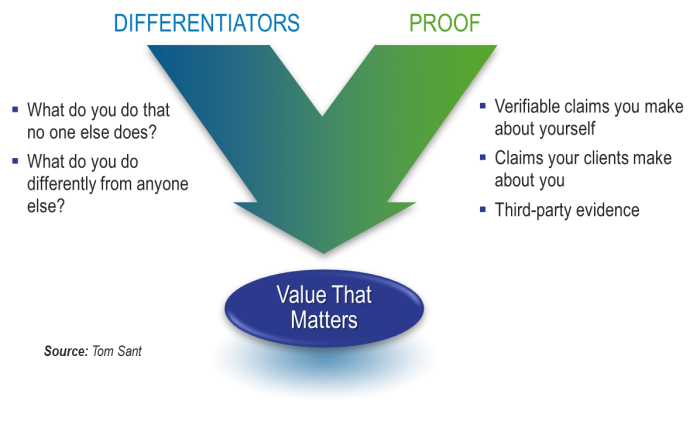 Proof points are facts that provide verifiable evidence for your solution’s features and benefits, and support your company’s win themes and discriminators. Understand your win strategy and corresponding win themes. 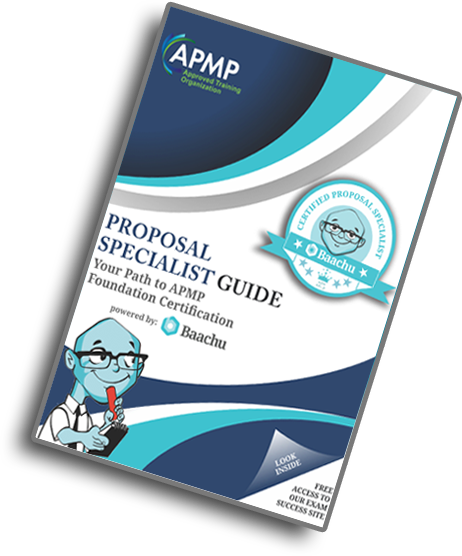 Get started before you have an RFP. Conduct data calls before and after RFP drop, both internally and from teaming partners. Maintain a repository of proof point data. Ensure that proof points are persuasive, tangible, and credible. Verify accuracy of proof points. Use the standard proposal and business development roles to guide responsibilities for development of proof points. Opportunity Manager The Opportunity Manager oversees bid strategies, pricing, teaming, and proposal strategies. He or she provides the win themes (features and benefits) that require verification by proof points. 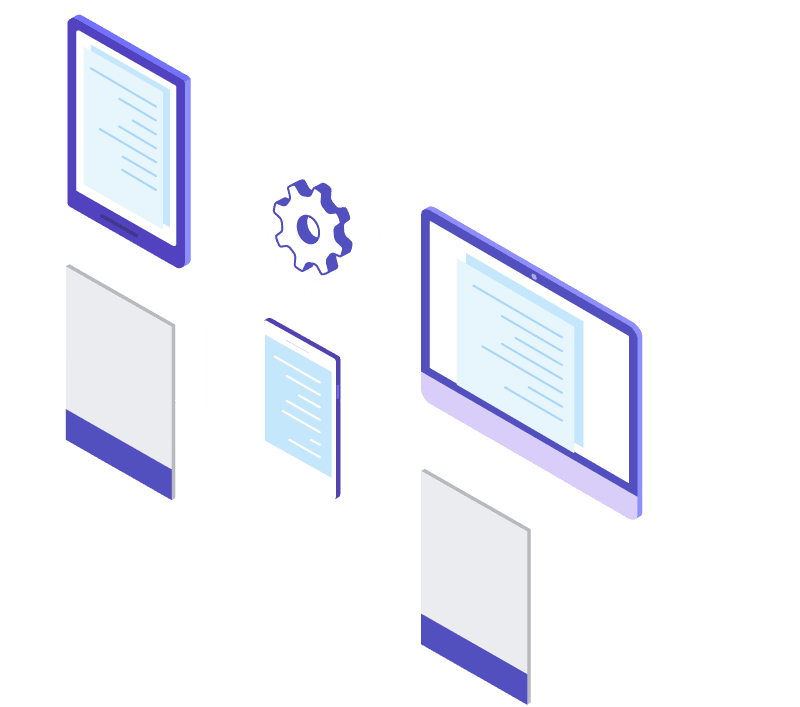 Knowledge Manager The Knowledge Manager is responsible for the creation and ongoing maintenance of reusable knowledge databases that contain proof point data. Proposal Coordinator, Facilitator, or Specialist The Proposal Coordinator is responsible for all administrative aspects of proposal development, including coordinating issuance of data calls and gathering proof point data from existing knowledge repositories. Proposal Desktop Publisher The Proposal Desktop Publisher is responsible for designing, formatting, and producing proposal templates, documents, and related materials, including a visually appealing way to display proof points. Proposal Manager The Proposal Manager is responsible for proposal development. In coordination with the Opportunity Manager, the Proposal Manager identifies proof points needed and crafts corresponding data calls. Proposal Writer The Proposal Writer is responsible for creating and maintaining content, including referencing and incorporating proof points. Project Manager For recompete proposals and for projects to be used as past performance references, the Project Manager is responsible for gathering customer quotes, lessons learned, references, and case studies for use as proof points.